To best determine the needs of your family and home, we recommend that you contact us and arrange for a conversation with one of our 1-800-4-Alarms home security consultants, so that we can present you with a complimentary, home security system plan and alarm quotation. For a custom quotation, please contact us 1-800-4-ALARMS, or send us an e-mail. If you would like to take advantage of our free 1-800-4-Alarms monitored home security system offer*, you'll want to call us ASAP. This limited time special for a home security system (valued at $850) is set to end soon. $99 gets the security system installed in your home. Home Security Fact: Homes with 1-800-4-Alarms monitored security systems are three times less likely to be broken into than those homes without a security system. 1-800-4-Alarms home security means your home is connected to a 1-800-4-Alarms monitoring command center backed by powerful equipment and trained home security professionals. When your home security system detects a potential home emergency, it will send a signal to one of 1-800-4-Alarms; home security alarm monitoring centers. Once the home alarm signal is received, a trained 1-800-4-Alarms Customer Monitoring Center Professional will assess the situation. Depending on the type of alarm signal that is received, the professional may call your home to determine if the alarm was accidentally activated. In the event of a real emergency, the 1-800-4-Alarms home security monitoring center professional will notify the appropriate authorities of the type of emergency at your home. If you or someone you know has been the victim of burglary, theft, break-ins, fire, or carbon monoxide poisoning, you can immediately understand the need for reliable home security. When you choose 1-800-4-Alarms home security, you are in good company. Don't miss the free* 1-800-4-Alarms monitored home security system offer which is set to expire soon. Click here for more details on how you can get your free* 1-800-4-Alarms monitored home security system. 1-800-4-Alarms Security means having a committed home monitoring center supported by robust technology and trained experts. This ensures uninterrupted monitoring of your 1-800-4-Alarms home security alarm, providing you with complete home security. 1-800-4-Alarms equipment and a home security evaluation. Act now! This limited offer expires soon. Huge discounts on home insurance - 1-800-4-Alarms systems and monitoring services can save you up to 20% on your home owner's insurance. Call your insurance agent for specific details on the 1-800-4-Alarms security savings. Low monthly monitoring fees - Peace of mind is more affordable than you think. Click here to learn more about 1-800-4-Alarms home security monitoring, and what you can do to secure your home. 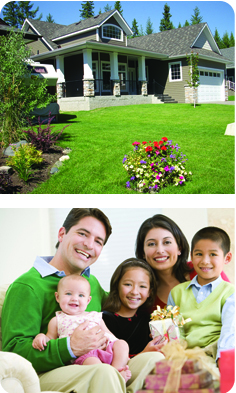 Lifetime Warranty - 1-800-4-Alarms' lifetime warranty is already included with our monthly security monitoring service. There's no added or hidden fees for the lifetime warranty, unlike Brinks or Slomon. 1-800-4-Alarms alarm system in your home. 24 Hours a Day, 365 Days a Year Monitoring - 1-800-4-Alarms will send the authorities to your home if alarm is not disarmed, giving you quick access to police and other emergency services. A Loud Alarm - 1-800-4-Alarms' home alarm systems immediately warn you and your family and sends the burglars running. 1-800-4-Alarms Yard Sign and Warning Decals - Burglars see the 1-800-4-Alarms sign and they know you're protected. It's your first line of defense. 1-800-4-Alarms monitored home security system with ease. Activate and deactivate your 1-800-4-Alarms system with a wireless remote keypad from anywhere in your home. Or upgrade to our interactive service and you can control your system from anywhere you have an internet connection. Added Sense of Security - 1-800-4-Alarms protects millions of families and their home security. 1-800-4-Alarms is the largest security services dealer in the U.S.A. and knows how to properly respond in the event of an emergency. 1-800-4-Alarms calls the local Fire, Police and/or Medical Emergency authorities so they can respond to any emergency at your home. On-Your-Person Security - Receive a handy digital keychain that lets you enable and disable the alarm system with the touch of a button. Also comes with a panic button similar to a car alarm panic buttons. If you are in an emergency and have this keychain, you will find it very valuable. 1-800-4-Alarms home security services at an affordable price. Protect your loved ones with 1-800-4-Alarms Home Security monitoring.